How do you develop a growth strategy for technology businesses? Growing a technology business from startup to scaleup to full-blown success takes time, blood, sweat, and tears. Many companies find they reach a plateau that is hard to overcome. In order to take a tech businesses to the next level, you need to map out your product and target markets, plan out your company’s brand and identity, develop a presence on social media so people can find you, track key performance indicators (KPIs), recruit and train employees, automate repeatable tasks to streamline your business and improve productivity, find and implement key tech and software, create content to draw in prospects, market and sell your product. Every entrepreneur knows that running a small business takes an immense amount of work. But how do you grow that business to new heights? With so many fast changes in technology, business theory, and outmoded business practices — especially in the tech industries — what is really important for you to focus on? Where should you put in the work to grow your business? It’s one thing to have a successful business, it’s quite another to take it further, to get that coveted “hockey stick” on your revenue and business growth chart. So how do you get that x-axis curving up? What business growth strategies should you focus on? How do you optimize for modern digital business practices? What are the stages of small business growth and how can you create a plan that targets business strategies and drives revenue? You have a certain level of business savvy and you know that the data proves it’s difficult to be an entrepreneur, especially in today’s economy. But if you don’t evolve with the times, you may find one of those small up-and-coming businesses are beginning to take away your market share, and they may just gobble you up entirely. A recent report from Fundera.com, a company that specializes in providing small business loans, shows that small businesses still fail at an alarming rate. How do you avoid becoming another statistic? We’re going to dive into the weeds in this guide to map out the key business growth strategies of modern business development that will allow you to take your company to the next level. There is no simple way to grow your business. Let’s get that out of the way right up front. The good news is there are many ways you can optimize your business and streamline inefficiencies to be more productive and profitable. Simple changes in your website can have a huge impact on the ability of customers to find your business. Investing in conversion rate optimization (CRO), the science of small tweaks to a website that help it convert more successfully, can have a massive impact on how successful you are at leading customers down the funnel and through your buyer’s journey. A small amount of effort on your social media presence can lead to big returns on impressions and engagements with your brand. An update to your marketing and branding can lead to a unified online and offline presence that makes your business memorable. And identifying and implementing the right technology can have a massive impact on your prospecting, sales, and close rates, driving the organic growth of your business. You’ll notice that there is a definite flow between each of those items listed above. Each of those help to narrow the buyer’s journey to make it easier for your customers to find you, engage with you, and buy from you. People are more likely to buy if they have engaged with you online. People are more likely to buy if they remember you. Having the right technology tools in place can help you sell more faster. And, arguably one of the most important (and often overlooked) considerations: All of these plans, processes, and solutions in place must scale readily and at speed to allow you to successfully drive your small business’s growth. By design, the information in this guide will be cumulative; you’ll find that many of these business strategies build off of each other, and oftentimes the effectiveness of one will depend on having others in place. If you have some of these areas locked up in your business — for example, you know how to create SMART goals with your team — that’s great! You can skim those sections or use the Shortcuts above to jump to the business strategy sections that you know need more work at your company. As with anything in today’s tech-focused world, business strategy is constantly evolving, and it’s the vigilant entrepreneur who sets his team — and his company — up for success. The change from startup to scaleup is subtle at first, but once you get the engine built and you begin pouring in the fuel, your company will be on track for growth — and, more importantly than that, scalable growth. There are tons of articles, guides, books, and shifty time-share offerings out there promising to double your revenue or add x amount of business overnight. We all know those are garbage. The bigger surprise is how many people fall for those things without having anything in place to actually support the idea. Imagine the inner workings of your own business. The length of your sales cycle. What it takes to close a deal. The time to process a quote, installation, invoice, and develop a strong relationship with your company and your team. If you really were able to double the amount of business you get overnight, could your team handle it? Logistically, realistically, no. Your team would crumble, your business would suffer, and your existing customers would be neglected while you try to handle the flow. This is why your company has to grow through substantial change to shift from a startup mentality to a growth mentality — you have to be ready and have a plan in place to actually handle scaling up your business. Concrete goals, realistic plans and timetables, clear project management and accountability — these are what will fuel your growth, not some vagueries offered by a consultant making impossible promises. Starting your business took hard work: Growing it to the next level will, too. Don’t focus on perfection. Don’t spend hours worrying away the fact that your company has problems and your business isn’t perfect. This doesn’t matter. And there’s always room to grow, always room to test new things, always room to incorporate new strategies. And no business is perfect. In fact, it’s probably better if your business isn’t perfect. Why? Think about it, if your business is perfect, you are running on all cylinders, everything is streamlined and optimized and your team is rocking it across the board — if all of this is true for your business and you still are not growing, you have major fundamental problems that may not be surmountable without a massive overhaul of your entire operation. However, if you know there are places in your business that you could improve, if there are key areas where you are absolutely struggling, and even if there are entire departments that have been lagging for years — that’s ultimately a good sign. That means there is room for you to improve. You have potential for fixing these problems, streamlining efficiencies, and putting key business strategies to work that will help to propel your business forward. International business writer Adi Gaskell has written extensively on the subject. Specializing in technology businesses and helping to identify ways they can improve, Gaskell writes that the perfect business, the coveted “unicorn startup”, is as rare as an actual unicorn. You’re not perfect. No worries. Don’t stress about it and move on. The important thing is that you are willing to make changes to help grow your business, your team, and your bottomline. 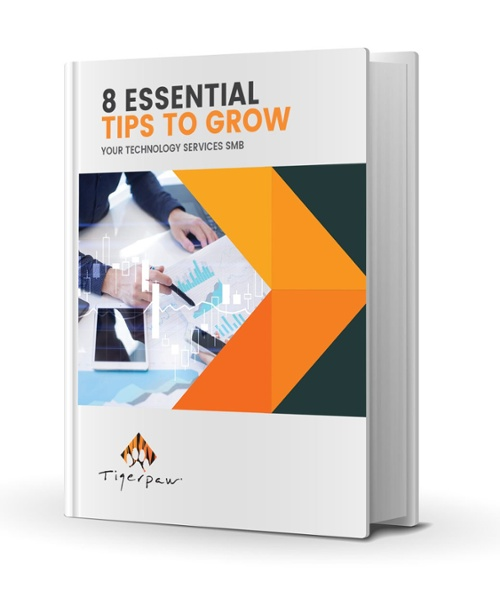 Just the fact that you are taking the time to research ways to grow your business and you are reading a guide like this shows that you recognize there is more you could be doing to improve operational excellence. You know there are things you could do to improve, and you’re ready to tackle them. Awesome! Let’s get rolling. It can be easy to fall in the trap of looking at no growth as a sign that you can’t grow. This is dangerous thinking and will definitely impact your ability to grow. It’s common for businesses to plateau at some point in their growth curve. Maybe you see it coming in your own organization, maybe you’ve been on the plateau for a while, maybe you’ve been there for years and you worry that your business has truly flatlined. This simply means your company is stable. As mentioned above, no organization is perfect, and if you have seen little-to-no growth for years, don’t let that diminish your plans. You aren’t a startup anymore, and as you shift your thinking and your strategies you will begin to optimize your business for growth — and you have a firm foundation on your plateau to build that next chapter of growth for your small business. How do you know if you are ready to scale up your business? As with any key business decision, you need to commit if you want something to succeed. At one point your business didn’t exist and you had to ask the question whether you were going to embrace your entrepreneurial spirit and create a startup. Now your company has grown and you need to leverage just as much — if not more — energy and effort to move your company out of a startup mindset and into a growth mindset. This is where many companies struggle. It can be exceedingly hard to change what has made you successful in the past. Your business has neither shrunk or grown for years. You have experienced rapid periods of growth in the past, but you don’t seem to be moving the needle anymore. Other companies in your region, industry are experiencing growth. You can identify multiple, key issues or departments that need fixing or help. You recognize there is potential to grow your business, but you’re not sure where or how to go about it. You know you need to change the way you do things, and you’re actively looking for insights on how to grow your business. You are ready to let go of some things so you can focus on the big things. Which brings us to one of the hardest things a small business leader has to do in order to facilitate a scale up period for their organization. It can be even more difficult for the successful small business owner to delegate key decisions to their team. Whereas in the past a leader may be involved in every decision for a startup company, this simply doesn’t work when you are shifting your company to a growth mindset. Why not? It doesn’t scale. By its very definition it won’t work. If you want to scale up your company, you need to outsource your decision making to your team. You need to hire smart people that you trust, put key metrics in place, and then actually trust them to do the jobs you hired them for. This means that you will, of necessity, begin to take a back seat on some key decisions that your major stakeholders are leading. This is one of the hardest parts for small business owners to overcome. It can be terrifying, horrifying, worrisome, and all the other “Tales from the Crypt” and “Twilight Zone” descriptive terms you can think of. But one person does not an empire make. You need to find your trusted people and then empower them to move forward. Brian Halligan, co-founder of marketing automation platform HubSpot, and one of GlassDoor’s top-rated CEOs, is extremely passionate about helping companies shift from startup to scaleup mindsets — his business is in the business of helping other businesses grow. Halligan has written at length about the challenges his own company faced when they were trying to get out of a startup mindset and truly embracing scaling the company up. His essay on Medium entitled “Scale-up leadership lessons I’ve learned over 9 years as HubSpot’s CEO” should be required reading for any business leader who wants to make the jump from startup to scaleup. If you want to grow your small business and tap into key small business growth strategies, you’d be hard pressed to do better than starting with this excellent essay by Halligan. Halligan writes that as HubSpot finally began to experience true growth, his role needed to shift. No longer was he in every meeting and involved in every decision. Instead of being a generalist at everything, he became what he likes to call “Chief Pothole Prevention Officer. His job became one to identify and remove any potential roadblocks before they slowed down his team. In order to truly grow your business, you will eventually need to make similar changes. Maybe that one is a little ways out for you, but the point is things must change. Doing things the exact same way you have always done them may have made your business successful, but it may not be what you need to get to the next level. You will need to develop new processes, hire new talent, train existing talent, find new tools, and create new methods that allow your business to grow. Many small businesses started out with uncertainties. Of course you wanted success, profits, customers, and to create a lasting company; but no one knows for sure how long their company will last. However, you have grown out of the startup phase. You’re probably no longer operating out of your garage. You likely have inventory, capital expenses, overhead, and a physical location. Your business has grown, and you’re ready to take it to the next level. As you plan the next phase of your business growth strategy, it’s the perfect time to review your actual branding. Does the brand identity still work? What does your branding say about you, your team, your company? Do the colors, logo, online presence, website, and business cards match? Does your logo look old and outdated, or does it look current? Does your branding look like a small mom and pop shop, or does it look like a company? If you look up any company that has been around for a long time, their brand has gone through several iterations over the years. Colors, fonts, logos, logomarks and logotypes have gone through multiple changes over the years to reflect the changing times and the growth of the brand. The most successful companies at this manage to juggle the fine line of respecting their history while embracing the future — perfect for the growing business. Take a look at the history of the LEGO logo and branding over the years. Lego has changed their look and feel many times, but it is still distinctly Lego. The early logos look very “Old World” by today’s standards, but pay special attention to how the logo and branding has evolved over the years. Anything from the 1950s onward is easy to identify as Lego, even if you haven’t seen any of those specific Lego logos and logotypes. They managed to be consistent with their brand while still updating it. If your logo is outdated, now is the time to address it and modernize it. You can still keep in mind your tradition while you redesign your logo and your brand. Worried about confusing your customers if you change or tweak your brand identity, or even your product offerings? Yeah, don’t be. Nintendo, the console gaming juggernaut synonymous with megahits like Mario and Zelda and the runaway hit system the Nintendo Switch, is known around the world as a modern video game company. Nintendo is over 100 years old. Founded in 1889, Nintendo began as a company that made playing cards. The times have changed. If Nintendo can do it, you can too. Don’t worry about leveling up your brand. What are the best practices for a small business brand? As with many things in this guide, you likely went through many ideas for your company brand, logo, and identity when you started your business. Now is the time to revisit them. If you weren’t terribly focused or strategic with your original branding, you definitely can be this time around. As mentioned above, brands evolve along with the company, the products, and the people who run and, yes, even founded the business. It’s ok and natural for your brand to grow with you. So how do you build your brand to foster small business growth? Beyond colors & logos — What does your brand say about you? Colors, logos, and fonts are important, but it’s easy to Google “Top 10 modern logo design trends”. If it’s time for a branding update, you can find a local small agency or even a solid freelancer online. Keep in mind your brand is about your voice, your company, and who you are. Embrace the cheese — Don’t be too serious. Create a brand and a company that you love and that you would want to work for. The biggest thing is don’t be afraid to have fun. This helps show your human side to customers, and makes you look like a better place to work for potential new hires. Social media, web content and email — Your brand is in more places than just your business card. Be sure you have something that looks good digitally, too. Brand your online presence on social media, your website, your blog, and even your email. Ensure you have a cohesive look and feel everywhere. Sleek, modern business cards — Business cards and websites are often the places that need the most love for branding, particularly with updating them. Don’t be afraid to throw out your old business cards for new designs that better represent your company and your growth mindset direction. Need a little help? Canva has 5,374 modern business card templates you can update with your company info in an afternoon. You’re welcome. Less is more — Don’t overdo it. You’ll notice a recurring theme in the posts above about the history of logos for companies that are built to last: they often have become less complex and more simple over time. Be patient — Creating a successful small business brand takes time. Creating recognizable and memorable business branding won’t happen overnight. Take your time, be strategic, and follow the tips we’ve outlined here. Build a brand you are proud of. Remember that your brand is more than just colors and fonts and logos. It’s about who you are. Don’t be afraid to put a little of yourself in your branding, but also be willing to defer to the experts. Remember that design by committee always fails and nearly always creates something less than what was originally created. If you are using a professional expert, or even a slick design and branding tool like Canva or the folks at Moo, trust that they know what they are doing. It’s your business. Offer your input. Go with something you like. But remember that your experts are your experts for a reason. Here’s hoping your brand has the longevity (and profitability) of Nintendo.